Oh mashed potatoes. How I love thee. 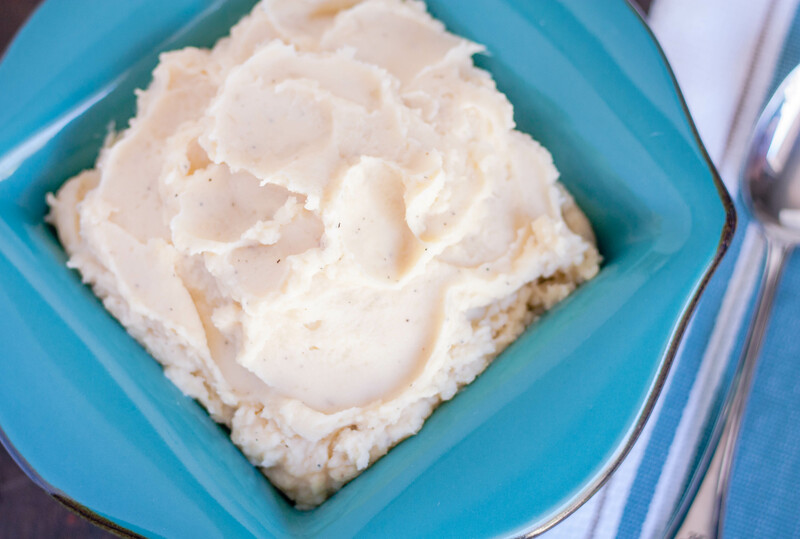 I have always loved homestyle mashed potatoes and I passed this along to my kids. They can spot instant potatoes by looking at them. I know this because at times I’ve tried to cut corners and use instant – with no luck at all. And ultimately I agree with them, there’s just nothing like fresh homestyle mashed potatoes. Over the years I’ve learned a few lessons in getting mashed potatoes just right. The first is to always use the right kind of potato. The right kind of potatoes to use here are regular russet potatoes or Yukon Gold potatoes. Russets are low in moisture and are mealy in texture. The dryness of these potatoes keeps them from becoming gummy when mashed. Yukon Gold potatoes are not quite as mealy and make a delicious mashed potato. I typically go with Russets because that’s the way my mom and grandmother made them, not to mention they’re the cheapest. The next lesson I’ve learned is to cook the potatoes in lightly salted water, making sure you start with cold water so that the potatoes cook evenly. (You don’t want the outsides of the potatoes to get done and begin falling apart while the insides are still too firm.) Also make sure to cook the potatoes until they are fork-tender. If you undercook them, you’ll end up with chewy lumps. Another lesson: make sure to drain the potatoes very well. I even set the pot back on top of the (turned off) burner and allow any remaining water evaporate off (making sure not to let them burn). Finally, it’s important to melt the butter and heat the milk or cream that you are using. If you use cold ingredients, not only will it cool down the potatoes and give you a lukewarm product, but it can cause them to become gummy when beating. You can substitute whole milk, half and half or cream for the evaporated milk. I love the rich flavor evaporated milk gives these potatoes, and it’s convenient to stock evaporated milk and have it on hand in my pantry. This recipe is for 6 hearty servings. It could serve up to 9 if you’re portioning 1/2 cup servings – but such small portions of these potatoes doesn’t happen with my family, they like heaping spoonfuls. We also like having leftovers. Typically when gaging how many potatoes to use for a certain number of people, normally you would use 6 medium potatoes to serve 6 people. Because I have hearty eaters, I gage mine at 1 1/2 medium potatoes per person. Peel and cube fresh firm potatoes, rinse well with cold water. Place potatoes in a large saucepan. Cover with enough cold water to cover by an inch. Cook over medium-high heat for 15 to 20 minutes or until fork-tender (easily break apart when pricked with a fork). Drain well, then return to the pot. Place back onto burner that has been turned off. Allow any remaining moisture cook off of the potatoes, but do not brown or burn. Meanwhile, melt the butter and pour the evaporated milk into a microwave safe bowl and warm in the microwave until just warm. Using a hand-held mixer, beat potatoes, adding butter/milk mixture slowly until smooth and creamy. Adjust seasoning with salt and pepper to taste. Serve warm. 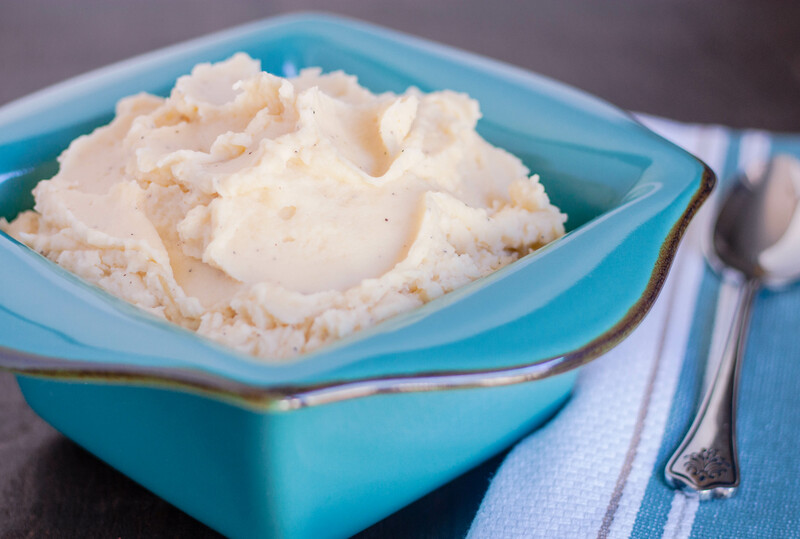 This recipe is how my mama made mashed potatoes, and how I make them. You absolutely have to use evaporated milk…creamier, better tasting. If I’m going to use my carb allotment…. only the real deal! Thanks for sharing. I agree! They are worth every carb and calorie!